The history of the Congo is a great example. The Belgians stripped it of every possible natural resource. They brutalized the local population by making them virtual slave workers in the rubber plantations and set up a segregated political system. They left in 1960 and eventually civil war and violence became the norm for 30 years or so. 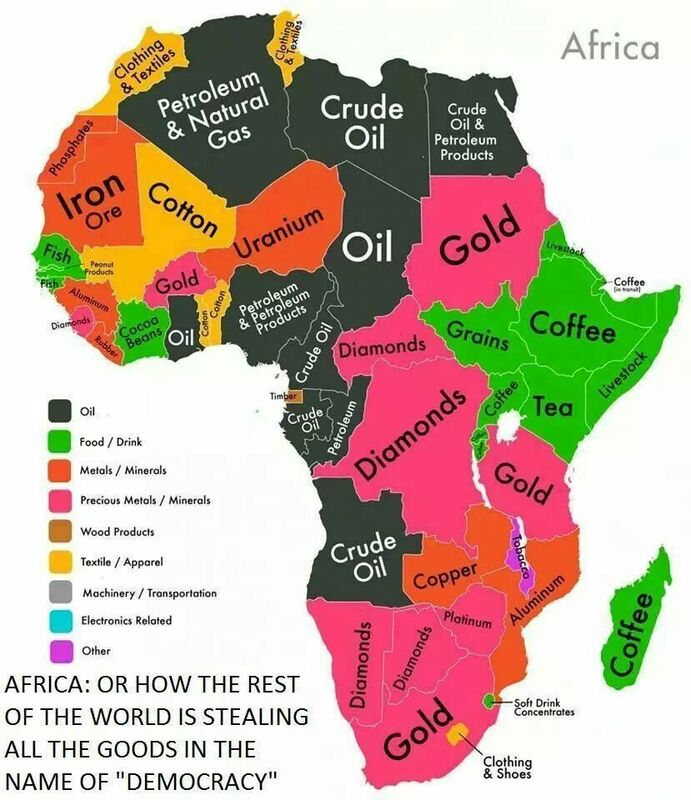 The developed world owes a great deal of assistance to Africa now. And then there is the Rwandan takeover with US/EU supported Paul Kagame murdering millions. This is going on now!